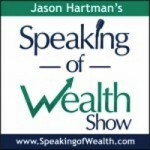 On a recent episode of The Speaking of Wealth Show, Jason Hartman sat down with successful English novelist, Kate Mosse, to discuss exactly how one goes about becoming a writer. While achieving Ms. Mosse’s level of global renown requires a lot of being in the right place at the right time with the right idea, she did offer some tips on how to maximize your chances of success. The point is not to think of writing as drudgery, eight daily hours of applying your nose to the grindstone and cranking out a certain number of half-inspired words. Mosse does believe, however, that successful writers should view writing as a professional job that needs regular hours devoted to it each day. It doesn’t really matter when those hours occur – could be morning, noon, or night, but make sure you make it a habit to apply seat of pants to chair. It’s hard for us to imagine how one would ever even fathom the idea of writing without a built-in love of reading first, but apparently it happens. Mosse reads both in and out of her genres and doesn’t mind in the least working her way through a bad bit of prose. She believes what we read shapes the words that eventually come out our fingertip and land on the notebook paper or computer screen. Through reading others’ writings we learn what works and, maybe even more importantly, what doesn’t. Like every other facet of life in the Computer Age, it’s all about software. Programs like Final Draft and Celtx for screenwriters, and Scrivener for novelists, have become all the rage, but Mosse contends that a writer shouldn’t feel compelled to use them just because they are there. She continues to tap out her novels in a regular word processing program without all the bells and whistles of a specialized software, though admits that her age (50+) might have more to do with that choice than anything else.